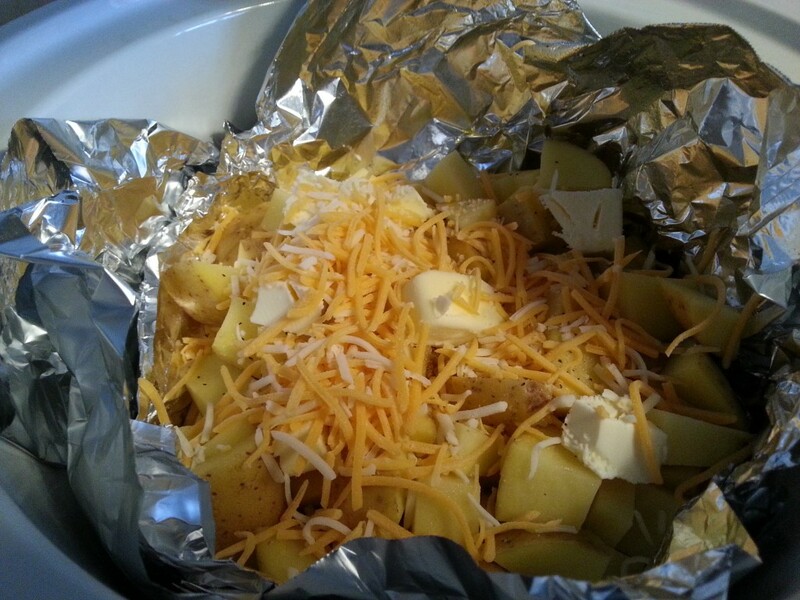 Cheesy potatoes made in my Crock Pot makes a delicious side dish for dinner. This is a slow cooker recipe I can use all year round too, which I absolutely love! One reason my Crock Pot gets so much love from me? 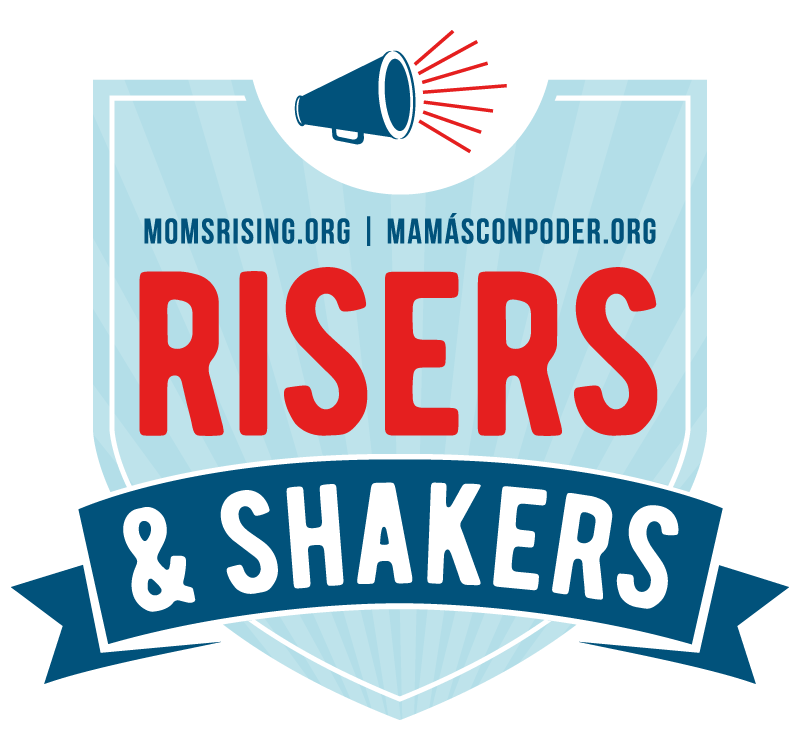 The kids go bonkers around normal dinner time making it very difficult to make anything at that time, but they aren't as crazy earlier in the day. That makes earlier in the day the best time for me to prep dinner! Recently I turned to Pinterest for potato inspiration because my bag of yellow potatoes weren't getting any love. I figured there had to be a way to cook them in my slow cooker… you can make just about anything in there! 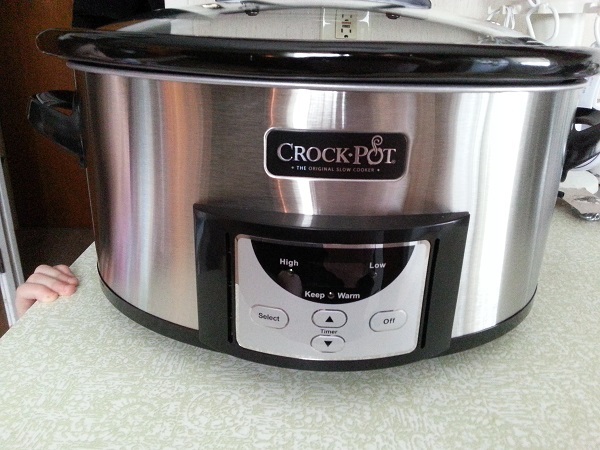 Line your slow cooker with aluminum foil. Add about half of the potatoes, a couple slices of butter, seasonings and cheese. I didn't really measure seasonings or cheese – I just eyeballed it. I sprinkled the seasonings over the layer then covered it with cheese. Add the rest of the potatoes, butter, seasonings and cheese. (Again, I eyeballed it). Cook on low 4-6 hours (I've also cooked on low for a few hours then high for the last hour). About 15 minutes or so before serving we add another sprinkling of cheese on top. No one has complained about them being TOO cheesy, so it's up to you! Next time we are definitely adding bacon to this recipe! The first time I made these cheesy potatoes in our Crock Pot, I was so excited about making them that I forgot to plan the rest of the meal that day. That was okay though because Brian had seconds. (He never rarely has seconds!) Making good cheesy potatoes is the way to his heart, I tell ya. I liked these better than my past attempts in the oven. These all came out soft (but not mushy). With the oven we were usually short on time or I cut them too big resulting in some semi-raw potato chunks. After my last time making these, I was very sad to discover a crack in my Crock Pot's stoneware. I honestly am not sure if it had been there for a little bit or not – I almost didn't notice it while washing it out. I knew it wasn't safe to continue using it now that I found it though. While I'll miss my old one, I'm kind of excited about the brand new one I bought the same night I found the crack. It even came with a small one for dips! An easy and delicious slow cooker side dish. Line your slow cooker with foil. 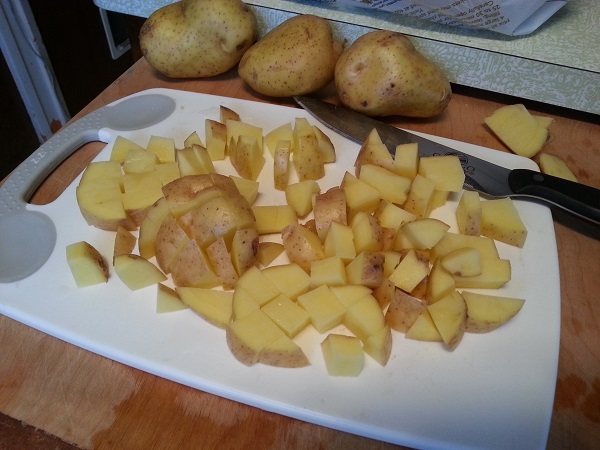 Scrub and cut 4 to 6 yellow potatoes into chunks. Add about half of the potatoes, a couple slices of butter, seasonings and cheese. Add the rest of the potatoes, butter, seasonings and cheese. These look delicious, and so easy! Thanks! I love how easy it is. Thanks for stopping by, Katey! This sounds so good! Crock pot recipes are the best. Pinned and tweeted. Thanks for sharing at Merry Monday, hope to see you again next week! Oooh! Cheese makes everything better….well, almost! Thanks for sharing with Delicious Dishes Recipe Party this week! Hope to see you again on Tuesday! Cheese and bacon, they tend to make everything better! 😉 Thanks, Laura!